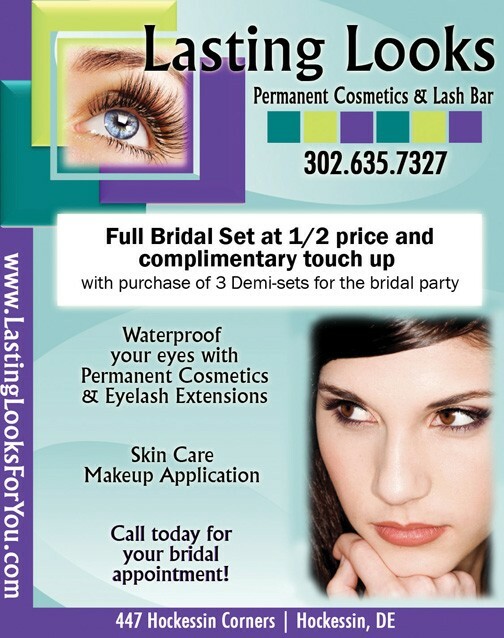 Eyelash Extensions For The Wedding & The Honeymoon! The Wedding Day. Oh, the planning and preparation. So much to consider; so many choices to make. You look to the experts to make your day the best it can be. As you arrange appointments for your hair, nails and makeup, don’t leave your investment unprotected. Tears of joy lead to mascara smudge – even when professionally applied. Waterproof mascara isn’t a good solution when it leaves your lashes dry and brittle and doesn’t provide the best look possible. False eyelashes look fake, are hard to apply and may disastrously fall off at the most inopportune moment! The solution will not only last you through your special day, but will go with you on your entire honeymoon! Eyelash Extensions. Extensions are a fantastic alternative because of their natural (or dramatic) look, ease of application, and affordability. They will accentuate and enhance your look to give you photos of a lifetime, without worry. The extensions themselves are perfectly polished polyester points. They come in a variety of thicknesses, colors and degrees of curl. Extensions are applied one lash at a time with care and precision using special bonding agents for a completely natural look. The result is thicker, longer eyelashes that are safe in the shower, while swimming, sleeping or exercising. Perfect for all your honeymoon plans! Your “lashscape” is designed specifically for you – suiting your facial features and lifestyle. Your technician should have an artistic flair when applying your lashes. The right combination of length, thickness and curl is needed to achieve your custom look. The Bride may seek a dramatic look, but the bridal Moms may want lashes that restore a youthful vibrancy without looking overdone. And shouldn’t the entire bridal party look their best – each deserves custom, waterproof lashes for the big day. Your natural lash turns over every 60 to 90 days and a new extension is applied to keep your lavish look fresh. These one-hour Refining Applications are recommended every 2 to 4 weeks. So when you return from the honeymoon, schedule your refining application to continue your fabulous look. 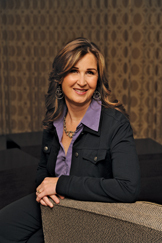 In 2006, after a 20 year corporate career, Melisa Ferriola opened Lasting Looks – a permanent cosmetics studio, lash bar and day spa located in Hockessin, Delaware. The Lasting Looks mission starts with the desire to empower women to take charge of their appearance and to put their best image forward. Our staff of estheticians can help meet all your skincare needs, as well as our unique services like eyelash extensions and permanent cosmetics.